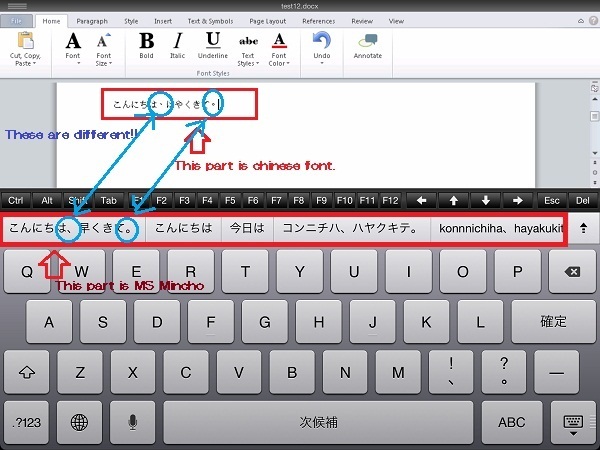 Thank you for reaching out again, we are still working on the default font for Japanese keyboard, to better support the Japanese language. This is a backend feature, and will not be tied to a version release on the AppStore, but I would like to assure you that we are working towards a resolution to this very shortly. Thank you again for all your feedback and support, we sincerely appreciate your help in identifying the issue we still face with regards to Japanese support. I will personally keep you posted on any development on this improvement.